Welcome To Bonnes Amies! : Harvest Basket Filled With Spring! This customer brought in this great harvest basket that her daughter gave her. 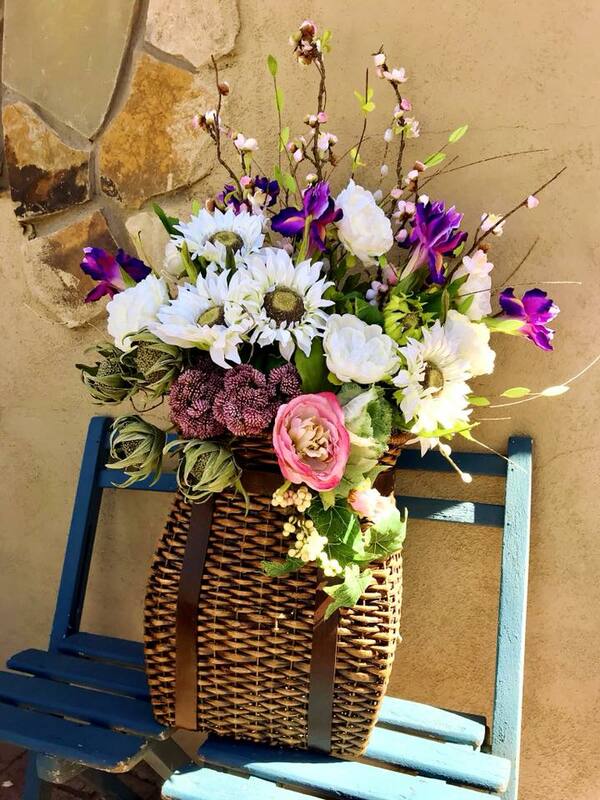 She filled it with white peonies, white sunflowers, purple irises, peach blossom branches, and succulent pods. Beautiful for her front porch for Easter!